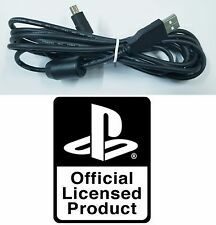 Official Xbox One USB Charging Cable. Features a charging light for added support. Connect via USB ® port. We will do our best to resolve any problems that may arise. Extra-long 10 ft. long cable. This is for TWO pieces of the 15ft cables. Cable length: 15ft. Connector #1: Male, type A. Connector #2: Male, type micro B 5-pin. High Speed USB 2.0 Cable. Connect USB device to your XBOX console. - Use your PC Keyboard or other USB devices on your Xbox. - USB type A female socket. - Net Weight: 30g. - Cable Length: 70cm. This can only delay our service. For the original Xbox (does NOT work with Xbox 360 or Xbox One). 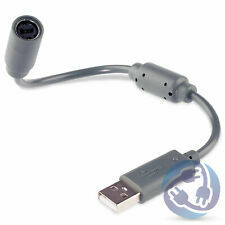 USB Type - A Female Socket Adapter for your PC Keyboard or other USB Devices. Works Great! A t s ( 469. ) 2017-12-18. Good p s ( 417. Supports dual shock vibration. ) 2017-12-19. Condition: New. Color: Black. 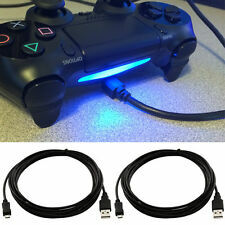 This adapter cable is simple and easy to connect and disconnect. Quantity :1PC. Samsung Tab. Item Discription. Fosmon’s 15 foot micro USB 2.0 cable supports safe fast charging and fast data transfer. - Microsoft: Xbox One, Xbox One Slim, Xbox One Elite, Xbox One X. Established 2002 and located in Minnesota, USA, SF Planet specializes in electronic accessories. Connectors : USB Type A male to USB mini B male. High Speed USB 2.0 Cable. Cable: 1 Twisted Pair 28 AWG Data Line 2 Power Conductors 24 AWG. Shielding: Double Shielding - Aluminum Mylar Foil and Braid. Cable length: 15ft. Connector #1: Male, type A. Connector #2: Male, type micro B 5-pin. High Speed USB 2.0 Cable. Complies with fully rated cable specification using braid-and-foil shield protection. Compatible with: Xbox 360 / Xbox 360 Slim. 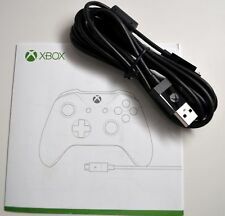 It easily connects to the front of your Xbox 360 via a USB connection. Connect USB device to your XBOX console. Use your PC Keyboard or other USB devices on your Xbox. USB type A female socket. 1x Converter Cable. Perfect for developers and coders. The KMD® 10ft. play during those intensive gaming sessions! Connect via USB® port. Extra-long 10 ft. long cable (approx. ). NOT compatible: Nintendo DS / DS Lite. NOTE: Cable for Charging Only，Can not transfer data. Length:about 3 FT. Portable - Small & Light Weight Cable. Item: Rocksmith USB Guitar Cable 10 Feet USB Interface Male To 6.35MM 1/4" Mono Male Electric Guitar Cable For Wii. Location: #Z144. Platform: Multi-Platform. Sku: ZZ040519003. ④Connector 1: Male, type A;Connector 2: Male, type micro B 5-pin. 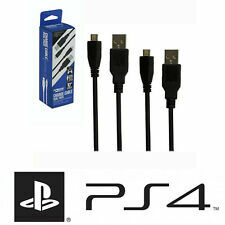 ⑥High Speed USB 2.0 Cable. Baby Introduction：. ②Color：Black. ⑤Shield to ensure interference free operation EMI/RFI interference guarded. This cable supports USB 2.0 high speed data transfer. Compatible with any other USB devices that uses a mini 5-pin USB connector. Connectors: Type A Female to Mini USB. Type A Male to Type B Mini 5-Pin. This item is not compatible with Nintendo DS Lite or Nintendo DSi. Current limited, with reverse circuit protection. Protective circuit to prevent overcharging (IC chip). Fully compatible with your laptop and desktop. Trending at $4.79eBay determines this price through a machine learned model of the product's sale prices within the last 90 days. This is for TWO pieces of the 6ft cables. Cable length: 6ft. Connector #1: Male, type A. Connector #2: Male, type micro B 5-pin. High Speed USB 2.0 Cable. This device cable allows for the connection of any USB enabled peripheral with a (5 pin) mini B port to a PC or Apple Macintosh computer system. Connect your device to your PC or Mac with our high speed non-oem mini USB data sync cable.